This was the second time we have used Brendan to sell and buy our condos. His approach was supportive, never any pressure. Brendan always responded to our inquiries promptly and with great knowledge of the market. He negotiated top dollar for our condo and got us a great price on our current home. We have no hesitation recommending Brendan and will certainly use his services next time we are in the market for another home. Brendan was very knowledgeable and extremely patient with us. He didn't rush us in to anything. We genuinely felt he was trying to find a property that was right for our situation. 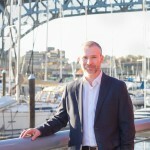 As first time home-buyers, we came into this process with a lot of questions, and a lot of trepidation about entering into the Vancouver condo market. Brendan was super easy to communicate with and was really open to our million questions every step of the way. He had great insights and never pressured us to do anything we didn't feel 100% about. He helped us find a place that we love at a price that we feel really good about. We are so happy in our first home and a big part of that is thanks to Brendan. I'll definitely be recommending him to friends! Brendan was a great choice. I can't say enough good things about him. He was great to deal with, we always felt like he we thinking with our best interests in mind. We sold our place with in a week, the listing Brendan created was very professional and almost certainly helped us with our sale. Brendan also helped us purchase a new place and negotiate a deal with multiple offers helping us end up with the home of our dreams. We will happily use Brendan again. Brendan is a straight shooter and knows his market very well. He was able to determine my needs and find some options very fast. He's very professional and gets the job done smoothly! I look forward to future business with Brendan.